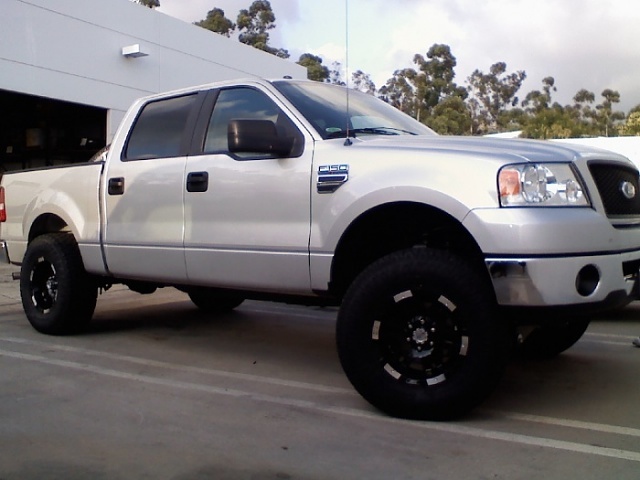 Lets see those lifted 2wd trucks! I need ideas. Id like to see pics of you guys lifted 2wd trucks. I am gonna lift mine come tax time. So I been doing my research now. Please list the following with your picture. For my 08, I got the 6" Fabtech lift.It rides smooth, almost like a stock smooth. 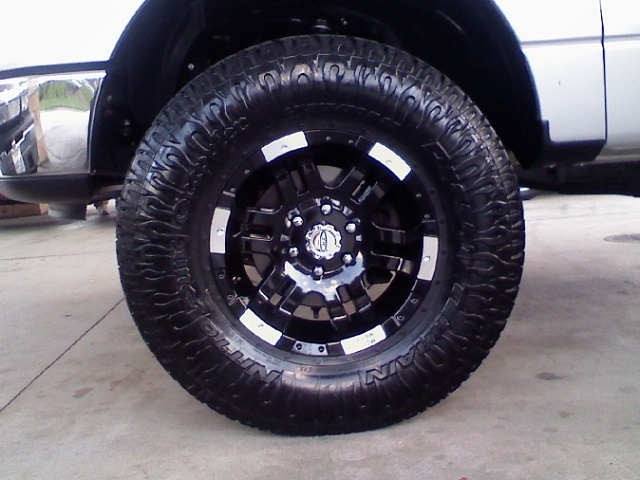 Some Moto Metal rims with some Nitto Dune Grapplers (35x17x12.50). I get compliments all the time. If you put the bigger tires. Make sure you gear to a 4.10 or 4.56. It put 4.56's on so i would have more torque of the line. Not to mention you'll get your gas milage back. In the end dont be cheap, get what you want. Because if you dont it will bug the hell out of you. BTW are you parked on a hill in the middle pic?? The truck looks to be higher in the back. Mines just a spindle lift its 3 1/2 inches, not sure what brand, dont remember kindof a stuff ride but not too bad. Couldnt tell you a price dont remember that either. 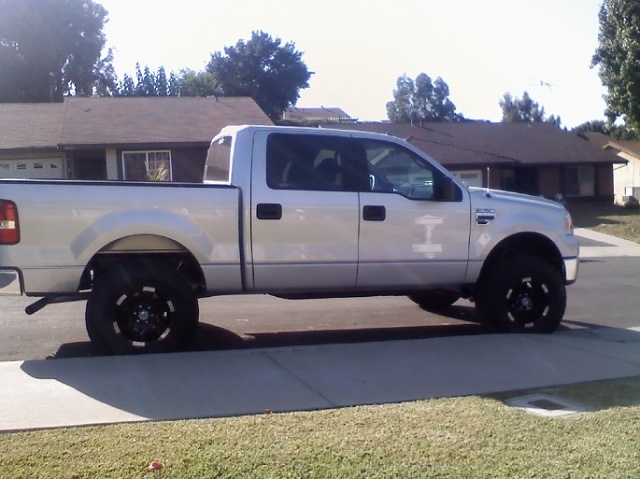 I like the cali style lift dont like the level ones but im running 16' eagle alloys and 32' mudstars. Looks good guys! Love the nitto tires! Sorry i took so long to get back. Yes, im am parked on a hill.haha. 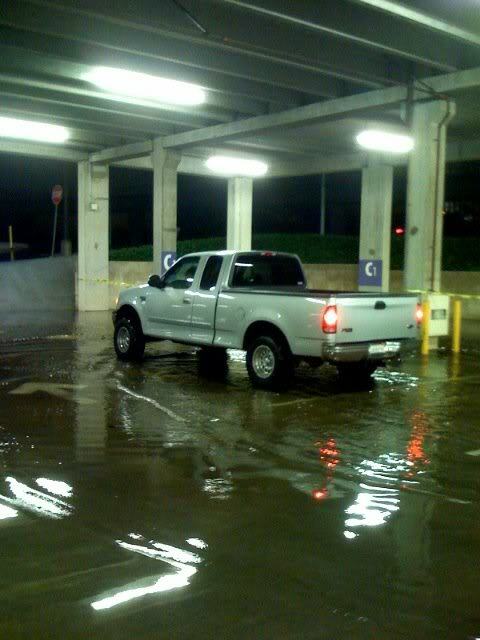 The truck sits level. 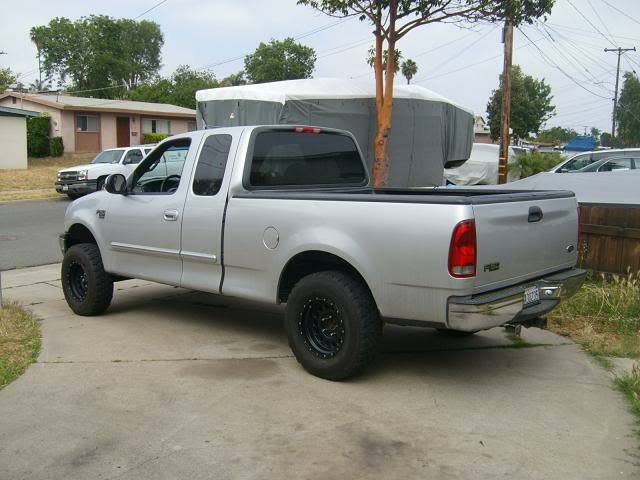 thats totaly different thana lift, thats long travel, i got a buddy who is building his 99 f150 and its really coming a long. Quick Reply: Lets see those lifted 2wd trucks! I need ideas.